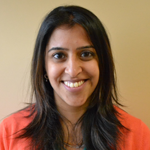 Dr. Singal has been actively involved in clinical research over the last 5 years. 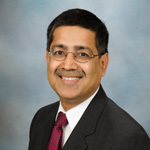 He has played the role of primary investigator in almost 15 past and present clinical research studies, mainly related to cardiovascular events and Diabetes. Dr. Singal is very passionate about this line of work and hopes to engage an increasing amount of patients and sponsors while developing this branch of the Cardio Metabolic Institute. Meenal joined the Cardio Metabolic Institute in December 2013. She has over eight years of cardiology experience and also a strong clinical background in internal medicine, pulmonology and gastroenterology. 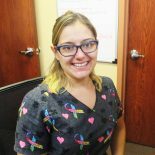 She completed her Physician Assistant degree from the Philadelphia College of Osteopathic Medicine in 2004 and then began her career as a PA at New Brunswick Cardiology Group. 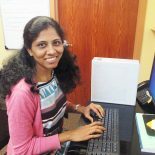 Meenal contributes to CMI in many ways by treating patients, rounding at the hospital, troubleshooting Electronic Medical Records issues and also helping to provide clinical guidance for the research trials that we perform at the Institute. Niranjani Nittala joined CMI research in Jan 2016. She has a Masters in Biochemistry and a certification in Clinical Research. She started her career with Unilever doing research in Molecular Biology and providing scientific support to senior scientists for over six years. She is highly organized and detail oriented. She holds international experience with a deep understanding of scientific practices across multiple disciplines. At CMI, she oversees all clinical trial activities and works closely with the study sponsors, monitors, and the IRB’s to facilitate day to day clinical research activities. She takes care of her subjects with utmost passion and dedication. 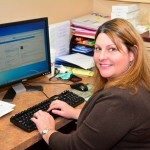 She takes pride in conducting clinical trials to improve the quality of life for subjects with chronic illnesses. Christine joined the Cardio Metabolic Institute in January 2014 as a Certified Clinical Research Coordinator. She has 8 years of nursing and research experience. She assists in coordinating research trials at CMI and takes pride in providing quality care to all study participants under the GCP Guidelines of research. She has worked in a variety of clinical settings and is very excited to bring her knowledge to CMI to help research patients reach their goal of heath and wellness.